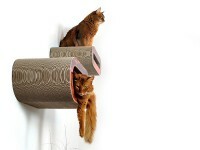 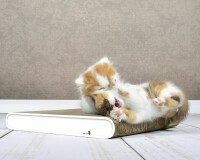 A scratching post can be so different! 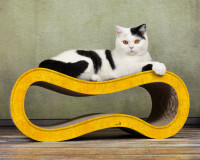 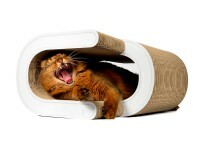 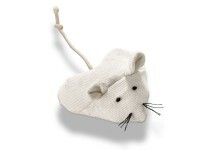 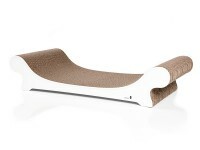 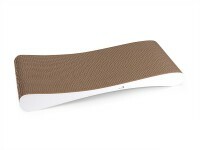 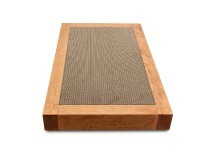 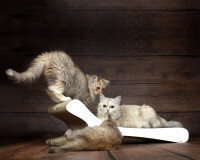 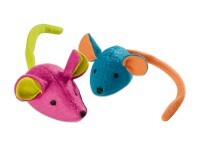 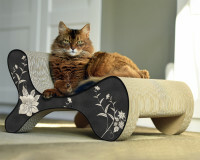 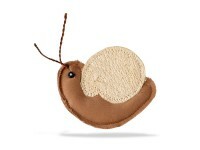 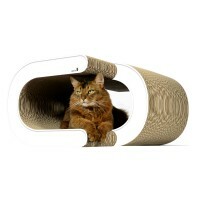 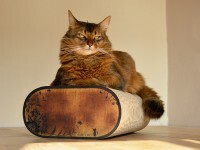 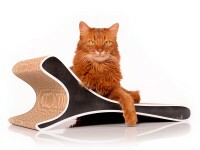 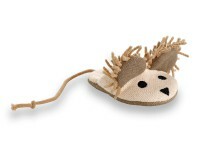 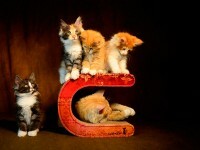 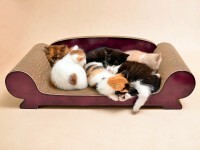 The cat scratcher Cat Racer from cat-on is a real hit among cats! 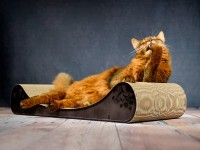 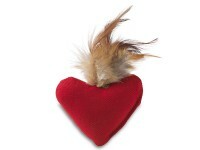 If the velvet paws could recommend him, they would not hesitate for a second. 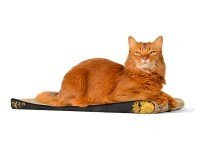 The wonderful sweep of the deck surface is perfect for the noble body shapes of our furry roommates. 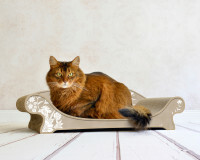 Due to the many inquiries for special widths, we have decided to offer this wonderful scratching furniture in 2 standard widths. 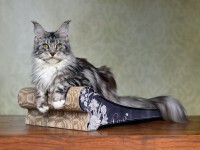 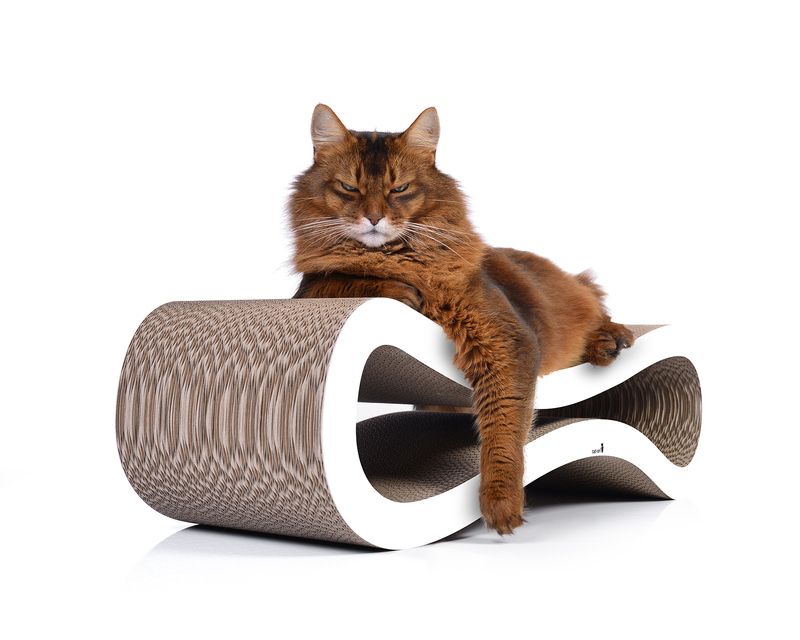 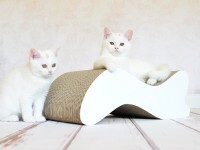 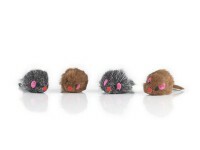 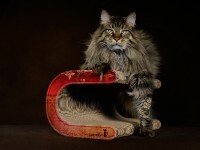 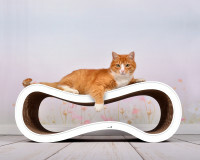 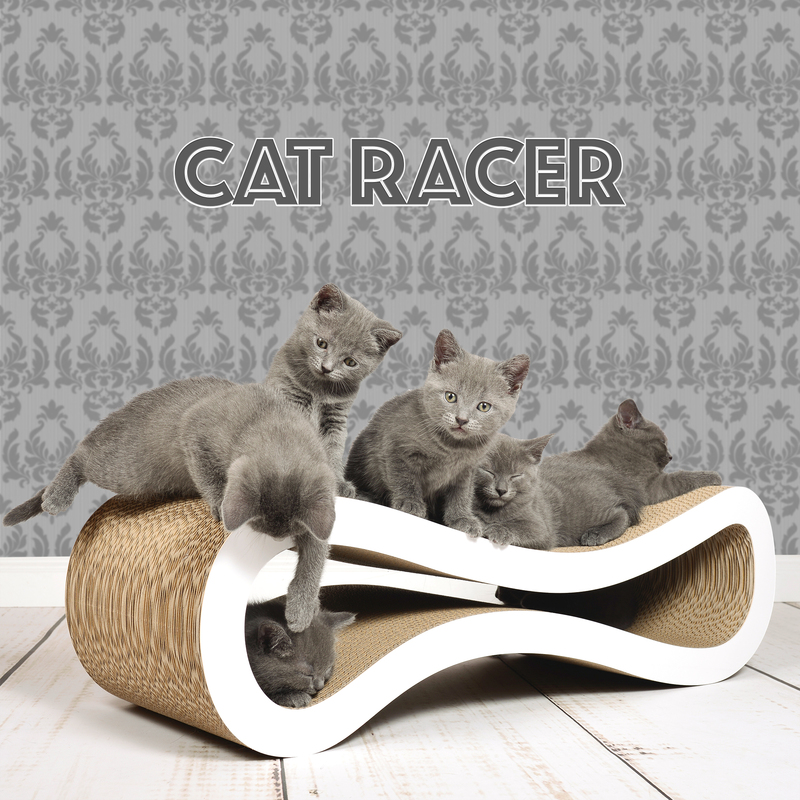 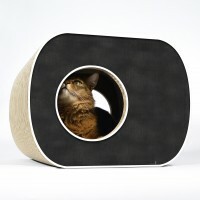 For a small extra charge, you get the scratcher Cat Racer in a wider version of 32 cm, ideal for big cats such as Maine Coone or British Short Hair. 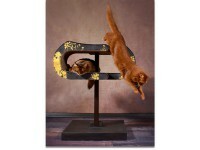 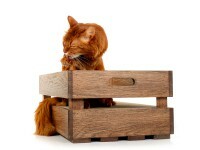 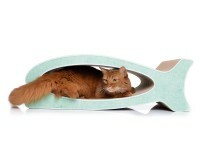 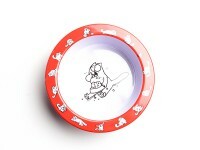 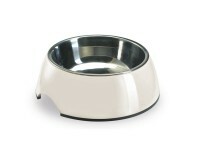 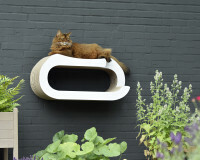 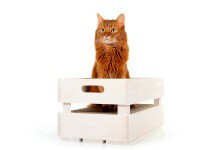 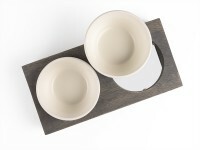 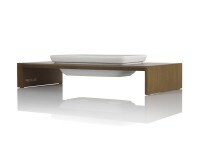 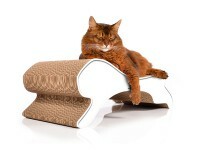 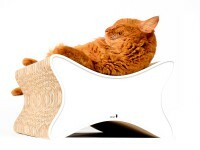 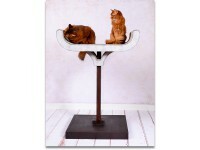 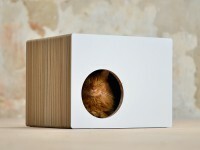 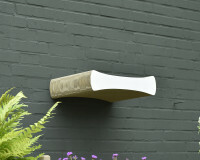 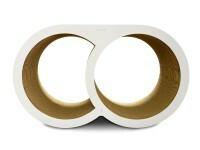 The cat tree Cat Racer is manufactured in our Berlin ateliers individually after order receipt for you. 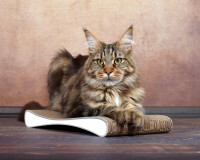 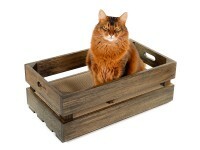 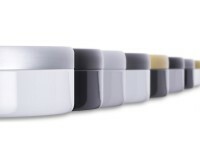 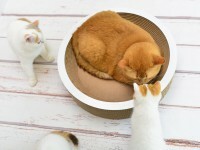 Our unique manufacturing process combined with outstanding, regional raw materials guarantees an exceptionally clean and species-appropriate cat product. 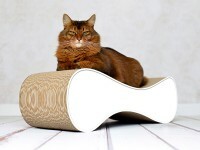 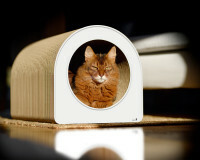 Customer evaluation for "Cat Racer design scratch post"